Before we get into Disney films, and “Paperman” in particular, I should note our 4½-year-old daughter loves all things Disney. How about yours? That said, she is only allowed limited, supervised time watching the Disney Chanel [sic], and definitely none of that Hanna Montana stuff. Is it true there is a Radio Disney? Tell me they don’t play, “It’s a Small World!” I’m concerned my head might explode trapped in the car with too much of that? I don’t mind playing some of the Disney Channel games (or NickJr games) with our daughter on the laptop… except she wins. Back to the point of the post, and yes I do have one: I put up with the general Disneypalooza that is our home, because of some of the fine works of art Disney puts out every so often. You may not have heard of “Paperman”? It was nominated for a 2013 Oscar in the short film (animated) category. 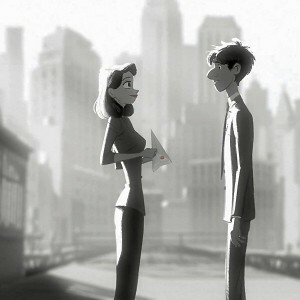 You can think of “Paperman” as a short, sweet, non-caloric, non-color for that matter, Valentine from Disney to you. I’ve included the full Oscar nominated Disney animated short below. Enjoy! While I can go on about its innovative style, combining computer and hand-drawn animation, mostly I just wanted others to see it. It’s short and sweet—literally—and I mean that in the best possible way. I usually never know the short films at the Oscars. Do you? Now we’ll have seen at least one of them. The original full length youtube video just got pulled, but here’s a trailer from Disney. Happy Valentine’s Day! How are you celebrating yours? Michael, I completely agree with you! We (Little Pickle Press) just featured Paperman on our blog today as well. I love the more classic approach to animation. I am not a die-hard fan of Disney either, but I agree with you, every once in a while they hit the nail on the head. John Kahrs really did a wonderful job. This was fabulous. 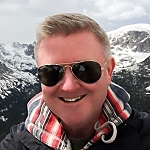 Thank you very much Michael. You were right. I had never heard of this short film and I loved it! Brought a much needed smile to my face today!! I’m afraid I am a die hard fan of Disney, well I wouldn’t say die hard but a fan none the less – lol. I hope you have a most enjoyable and wonderous Valentines day with your family! !